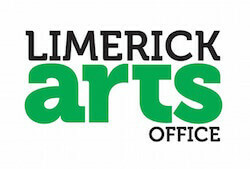 The Arts Office, Waterford City & County Council is offering financial support towards two week long bursaries to attend this year’s summer school at the University of Limerick. More details can be found at https://waterfordarts.com/2019/04/23/traditional-arts-bursary-available-for-waterford-deadline-14th-may-2019/ or by contacting the Arts Office on 058/41416. The Closing Date for receipt of applications is 12 noon on Tuesday 14th May 2019.